Packaging of pharmaceutical products is considered to be a very crucial element for the pharmaceutical industry because such packaging ensures the quality and safety of drugs that it contains. As such, it is estimated that there will be a constant requirement for pharmaceutical packaging equipment in the industry of pharma. As opposed to the packaging systems that are available in the world today, pharmaceutical packaging equipment are flexible, modern, and automated and it comprises secondary and primary packaging equipment, and serialization and labeling equipment. This helps in the reduction of the time for packaging thereby boosting production. Some of the main factors that fuel the growth of the world market for pharmaceutical packaging equipment comprise increased investments in biopharmaceutical research, increase in the funding for generics across the globe, and cost containment in pharmaceuticals. The technological advancements that pertain to serialization and labeling solutions are foreseen to stimulate the growth of the world market for pharmaceutical packaging equipment. There is a certain market trend that pertains to the world market for pharmaceutical packaging equipment. The development of production lines for research purposes and for small batch size, constant increase in the focus of pharmaceutical manufacturers to curb their operational costs together with augmented focus on the serialization and labeling for anti-counterfeiting of various drugs define the key trends that are linked to the said market. However, rising inclination towards refurbished pharmaceutical packaging equipment as a feasible option to new packaging equipment with high costs is prognosticated to hamper the growth of the world market for pharmaceutical packaging equipment market to some extent. The global pharmaceutical packaging equipment market is estimated to witness a healthy growth in the coming years. Some of the key factors encouraging the growth of the market include cost containment in pharmaceuticals, rise in the funding for generics, and growing investments in biopharmaceutical research. The technological advancements in labeling and serialization solutions are anticipated to boost the growth of the global pharmaceutical packaging equipment market. Rising emphasis on labeling and serialization to counter the problem of counterfeiting of medicines will fuel the demand for pharmaceutical packaging equipment. The market however faces one challenge. The threat from being substituted by refurbished packaging equipment is present in the market. Refurbished packaging equipment is a viable alternative to new packaging equipment, which costs high. This is likely to restrain the growth of the market. Some of thy key trends observed in the market are increasing investments in the manufacturing sector by players and consistent technological innovation taking place in the global pharmaceutical packaging equipment market. The flourishing pharmaceutical industry is directly responsible for the growth of the pharmaceutical packaging equipment market. Rising incidences of diseases and infections are pushing the pharmaceutical industry to grow, which in turn is pushing the demand for pharmaceutical packaging equipment. The market for pharmaceutical packaging equipment is especially slated to witness a high growth in developing nations such as China and India as these countries do not have high import duties. The need for inexpensive manufacturing facilities is making developing nations in Asia Pacific, a potential market for pharmaceutical packaging equipment. Packaging of pharmaceutical product is extremely vital for the pharmaceutical industry as packaging enables safety and quality of drugs. Thus, there will always be a demand for pharmaceutical packaging equipment in the pharma industry. In contrast with conventional packaging systems, pharmaceutical packaging equipment are automated, modern, and flexible, including primary packaging and secondary equipment, and labeling and serialization equipment. This helps in reducing the time for packaging, boosting production. Companies such as Robert Bosch Gmbh participate in innovation and develop new products, which is creating a positive outlook for the market. The company recently launched a new Sigpack VPF vertical flat pouch machine and also a HML horizontal flow wrapping machine. The former is developed to pack powders by producing sachets that can pack pain killers in powder form. The machines enables the production of sealed packages and can fill up to 1500 sachets per minute. 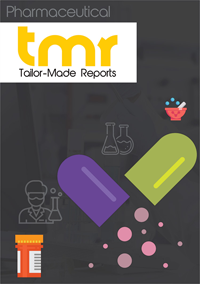 The report segments the global pharmaceutical packaging equipment market on the basis of geography into Europe, North America, Latin America, Asia-Pacific, and the Middle East & Africa. North America led in the global pharmaceutical packaging equipment market on account of advancements in the pharmaceutical industry and economic growth of the region. The patent expirations of a number of drugs will also help the market in the region to grow. The global pharmaceutical packaging equipment market is highly fragmented. The market is characterized by the presence of several local, regional, and multinational players. Some of the players in the market are: IMA S.p.A. (Italy), Robert Bosch GmbH (Germany), Körber AG (Germany), Multivac Group (Germany), Marchesini Group S.p.A. (Italy), Romaco Pharmatechnik GmbH (Germany), and OPTIMA Packaging Group GmbH (Germany). Key players in the market are striving for innovation so as to maintain their shares in the competitive market.